Induction cooktop with FlexiBridge is rated 4.6 out of 5 by 7. 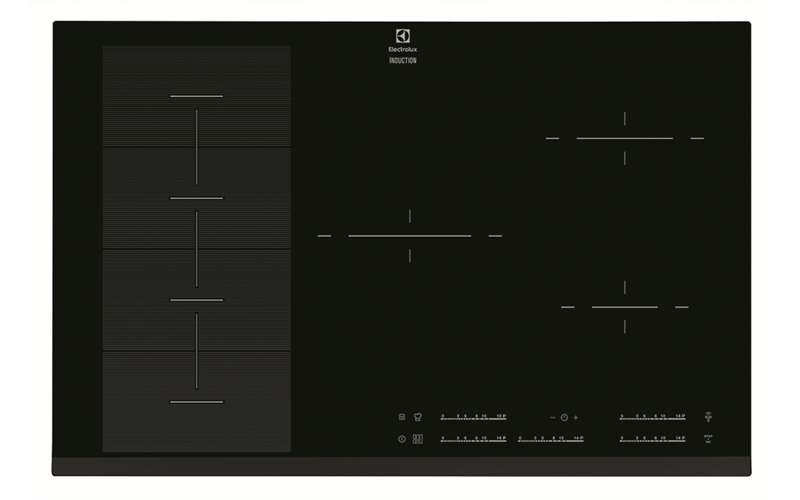 80cm 5 zone induction cooktop with FlexiBridge zone, 14 stage slide control, PowerSlide mode, stop & go function, Hob2Hood connectivity capable. Rated 4 out of 5 by Gurno from Great product Brought for new kitchen three months ago so far the cook top is great can’t fault it. Rated 5 out of 5 by gdevans from Love, Love, LOVE! You can't beat an induction cooktop! We had an AEG before and now Electrolux with the same features and so love it! Rated 4 out of 5 by Dazza from No regrets The best cook top I have owned! The speed of boiling large quantities of water (for spaghetti , rice etc) has saved me a lot of time preparing family meals. The Flexi bridge function has enabled me to get rid of my electric frypan, electric griddle & wok. I can now barbecue indoors. Cons: Slide control not responsive enough, the cut out feature with slight spills (when removing lid & water dripping on cook top) is frustrating as everything has to be removed from the cook top & it cleaned before resuming cooking - a bit to too sensitive! Rated 5 out of 5 by Dave17 from Easy to use, easy to clean, stylish looking We've been using this for about 4 months now and love it. It takes a little bit of getting used to the temperatures/controls initially, but once you get to know it (like any cooking appliance) it's great. I expect this also varies depending on the pots and pans used. Fast heat-up time is great, and it's so easy to set controls for each "element". Using features such as power-slide, timers and stop 'n go are intuitive and easy to set. It has a stylish design, and clean-up is no longer a chore so it always looks fantastic! My wife and I are glad we decided to go down the induction path, as we had previously been a little skeptical. Unfortunately we didn't get a "hob-to-hood" compatible rangehood, as I think this would be a great feature to use as well, but a silent rangehood was our priority here so we went another brand. All in all we are loving this unit and would buy again. Rated 5 out of 5 by Gayle from Cooking time is fantastic! My sister convinced me to buy an induction cooktop. It's fantastic. So quick to get dinner ready after getting home late from work. Clean up time has also been reduced dramatically. Just wipe over with cloth and it's clean. So good. I love it!! Rated 5 out of 5 by Melinda from Best cooktop we've ever had! 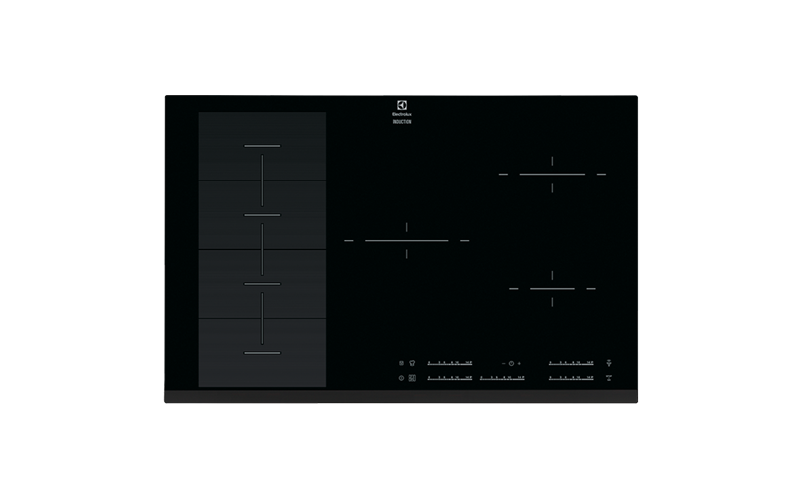 Responsive, efficient, easy to clean, elegant design with fantastic variable cooking zones!